Chupa Chups | we ran out of answers. A parking lot in Sofia / Bulgaria. 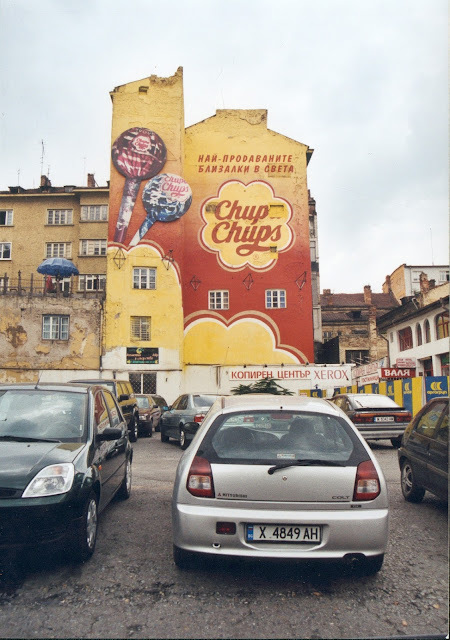 I've never seen such a gigantic Chupa Chups advertisement before, and after. The cloudy weather makes for nice colours. Taken with a Seagull analog SLR in 2005.